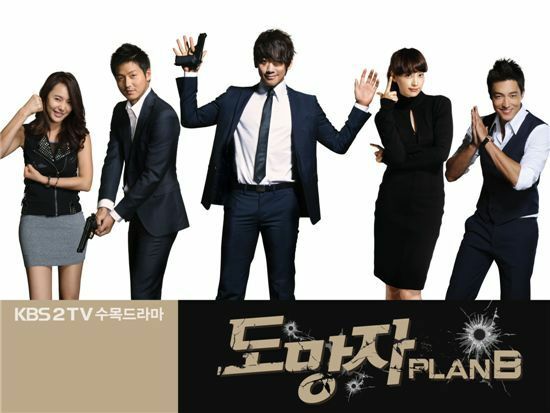 KBS TV series "The Fugitive Plan B" will go on air in Japan starting April next year. CEO Ahn Hyung-soo of the production company of the show told Sports Today over the phone, "It has been decided that the show will begin its air in Japan. Starting April, 'Fugitive' will be broadcasted on So-net, a station affiliated with Sony Group". Ahn added they are currently in talks with other public networks in Japan as well. In October, the distribution rights to "Fugitive" was sold to seven countries in Asia including Taiwan, the Philippines, Thailand, Hong Kong, China, Singapore, Malaysia and Indonesia. "The Fugitive Plan B", which will end its run tonight, is helmed by noted director Kwak Jeong-hwan and written by Cheon Seong-il, the creative duo behind the 2010 hit series "The Slave Hunters".